WCT is located in the heart of downtown Willits, on the west side of Hwy 101 (Main St) on an alley called W. Van Lane, at cross “alley” street Muir Lane, around the corner from Mazahar, and behind Shanachie Pub. Note: no parking on Van Lane, or on Muir Lane. Additional free parking is available in the City of Willits parking lot, located on West Mendocino Street, two blocks west of Main Street. 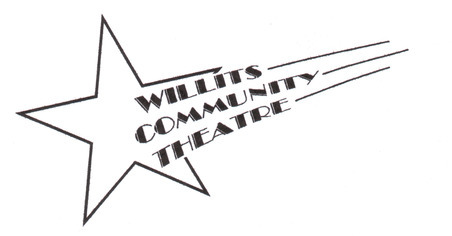 From this parking lot it is a two block walk to the Willits Community Theatre Playhouse.